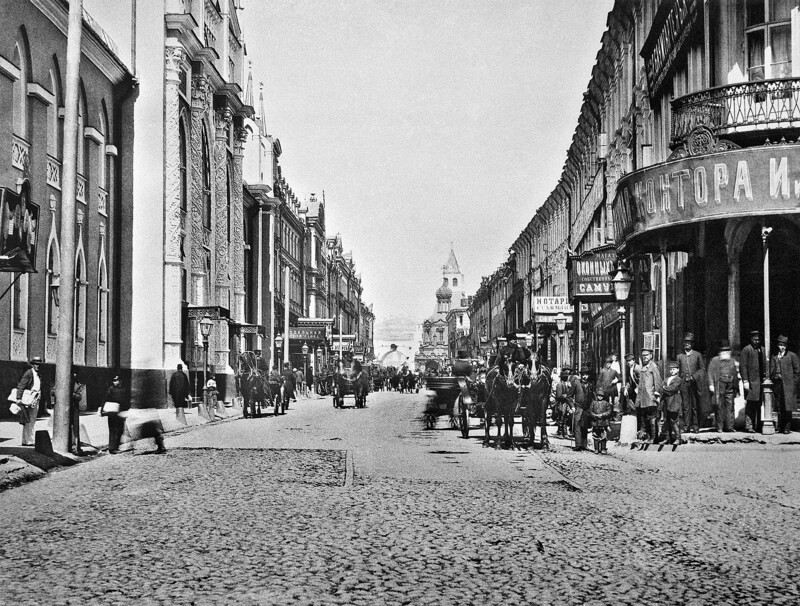 One of Moscow’s oldest streets, Nikolskaya, was never associated with football before. So imagine the locals’ surprise when fans came flocking here. 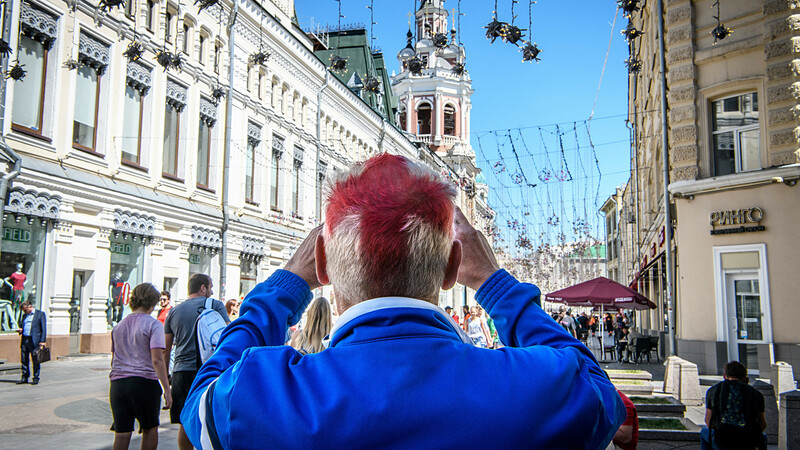 "Where’s Nikolskaya?” was a question foreign fans frequently asked volunteers upon arrival, often simply showing a picture from the internet with crowds of people dancing and singing against a backdrop of festive lighting – a certain meeting point for all who came to Moscow for the World Cup. 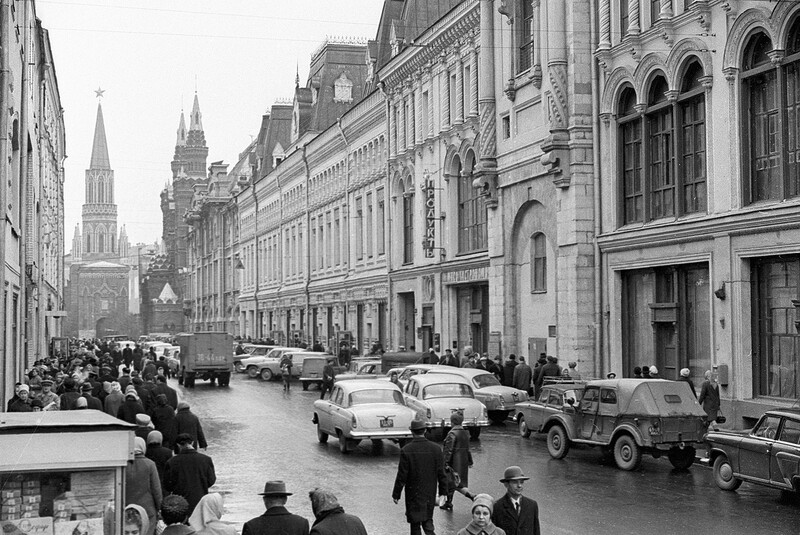 Located in the very center of Moscow’s tourist map, connecting Red Square with Lubyanka, former site of the KGB, Nikolskaya was never considered the liveliest spot in the capital. If asked to name a busier, more touristy street, one would most likely plump for Arbat or Tverskaya, not Nikolskaya. 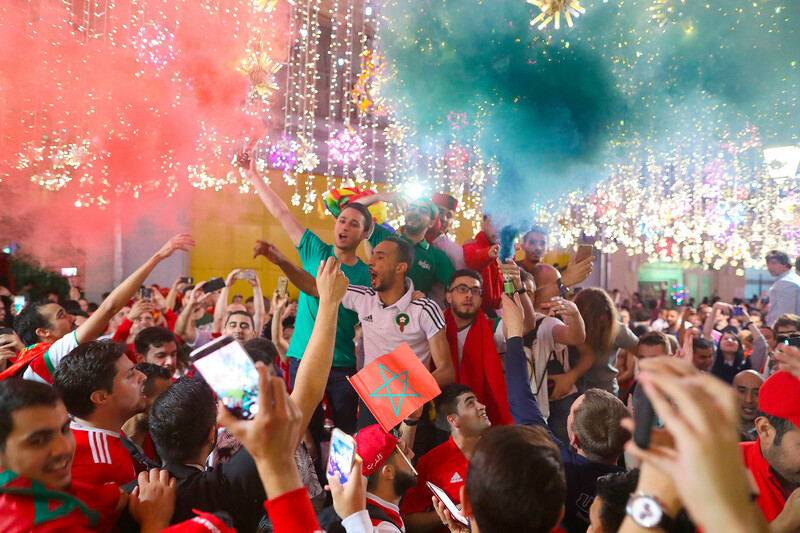 How did it become the center of attraction for all football fans during the World Cup? The explanation is quite simple. As fans arrived, they tended to head straight for Red Square, before settling in the nearby cafes on Nikolskaya. During the first days of the World Cup, the square was also closed due to ongoing construction and preparation works. So fans that couldn’t access the square chose to roam around Nikolskaya, which created a “fan” effect in the days to come. As more fans arrived, they saw pictures of crowds singing, dancing, and drinking on Nikolskaya, and knew exactly the place to go to. The waves of people attracted musicians, face-paint artists, and street vendors selling everything from souvenirs to beer, and created higher demand in local shops and bars that increased their revenue by two or three times in less than a month. To satisfy the demands of fans that crowded here every evening, businesses adapted to working long hours. Nikolskaya practically adopted its own schedule, said a waitress working in a local café. “Many places open at 10 am when people start to come here. They have breakfast, drink coffee, buy souvenirs. At this time it’s rather quiet, without any kind of madness. 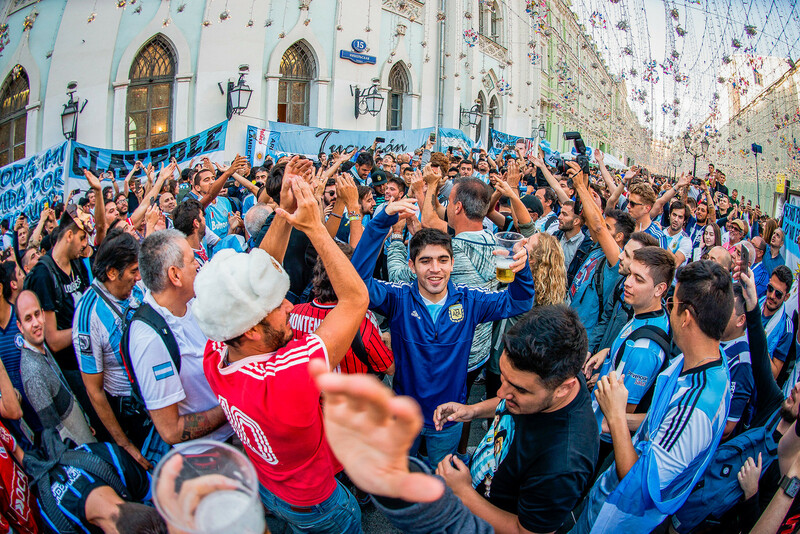 Starting from 2 pm the street starts to prepare for the evening match – fans drink vast amounts of beer, sing songs and chants, and basically warm up. Around 7-8 pm the street’s full of dancing, screaming, and fun. This starts over every day and stops in the morning,” she shared. Nikolskaya has never been a host for such an international event, though it has seen many things over its history. Named after the Monastery of St. Nicholas (1390), Nikolskaya is one of the oldest streets in the city and can be called a place of “first things” in Russia. 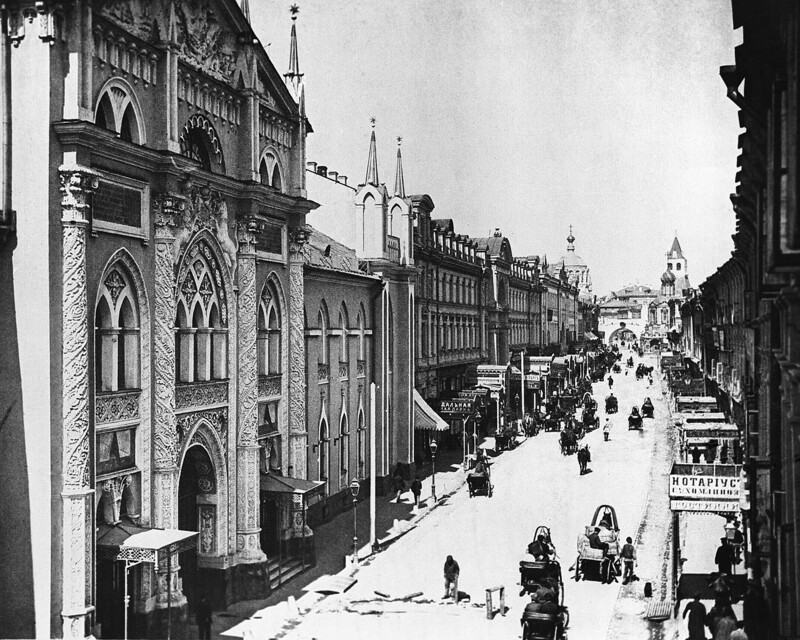 The first Russian printing house, the first printed book (“Acts and Epistles of the Apostles”, 1594), the first pharmacy (opened by Peter the Great), the first higher education establishment (the Slavic Greek Latin Academy, the alma mater of Mikhail Lomonosov), the first radio program broadcast and first television studio, the first Russian cuisine restaurant (Slavyansky Bazaar), and even the first bank that went bankrupt were all here! It has seen Orthodox processions and royal retinues, and witnessed the October Revolution and Red Army soldiers’ assault on the Kremlin. The street even got renamed to mark the event: from 1935 till 1990 it was called October 25 street. 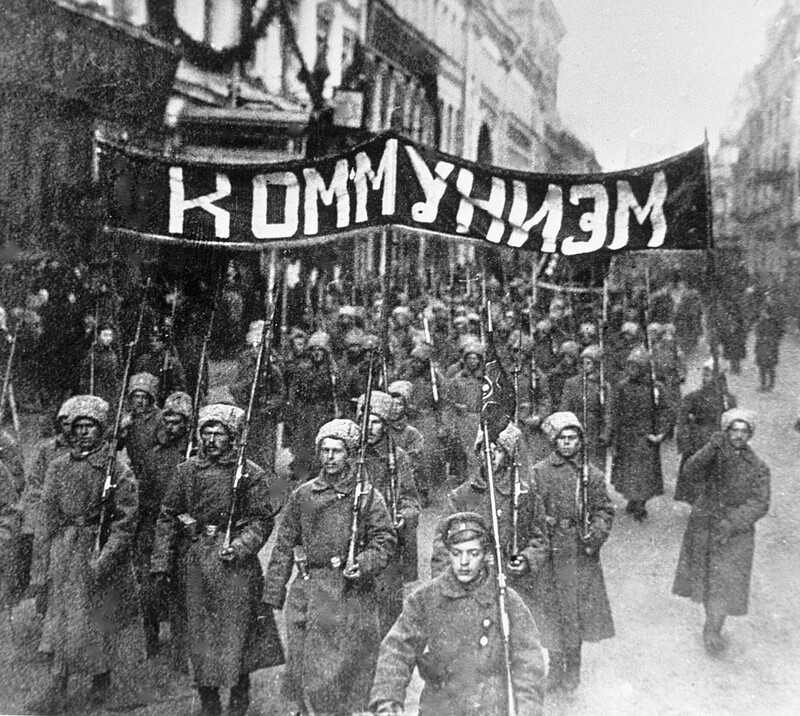 The Bolsheviks on Nikolskaya, 1917. The poster reads "Communism"
Throughout its history, Nikolskaya was a religious center (with a number of monasteries located here), a center of science with Russia’s first university, but by the 20th century it was the one of the main business streets in the city with big business offices and a large market that long existed on the current site of GUM. Up until a few years ago, cars roamed around here freely. Only in 2013 was the street pedestrianized and given a modern look. Today Nikolskaya is dominated by public catering businesses which benefit from the close proximity to Red Square and the Kremlin. 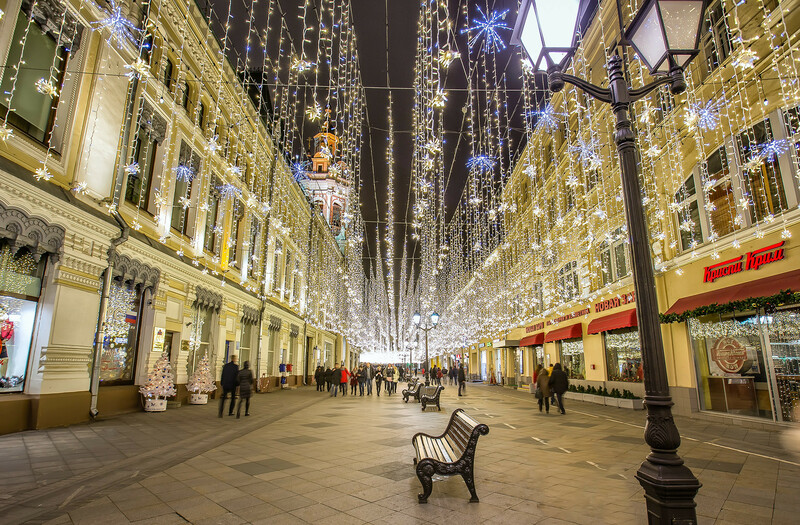 It is one of the most expensive streets for floorspace rental in the Russian capital. According to reports (in Russian), average rates for a 100-300 square-meter space on the 1st floor can cost as much as 150,000 rubles ($2,408) per square meter a year, while renting a 66 square-meter space with a large window (suitable for a medium-size souvenir shop) might require 1.5 million rubles ($24,080) a month. Yet even despite the high rates, there are practically no free spaces left on the street to rent – only 5 percent of areas are available for new tenants. While the football craze played in favor of local business owners, its effect is expected to be only temporary – something understood only too well by potential new tenants. They are not rushing in to open new shops or restaurants to get high returns just for a few months. The championship in Russia is said to be one of the most expensive for a host country in World Cup history, costing more than $13 billion. What kind of economic return can the Kremlin expect? Find out here. Who are the Russians cashing in from the World Cup?